The Hemmingway Art Deco style crystal urn table lamp base, a high quality table lamp base only, a simple, elegant, crystal Art Deco style lamp base with polished nickel trim. Fitted with an inline cable switch. 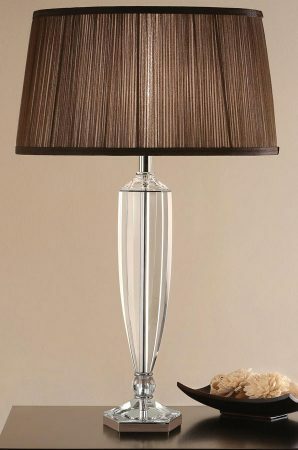 Shown here with an oval 14-inch chocolate pleated fabric shade but can be used with any shade of choice. A selection of suitable shades can be found by following this link. The dimensions shown below do not include a shade and are for the base only. 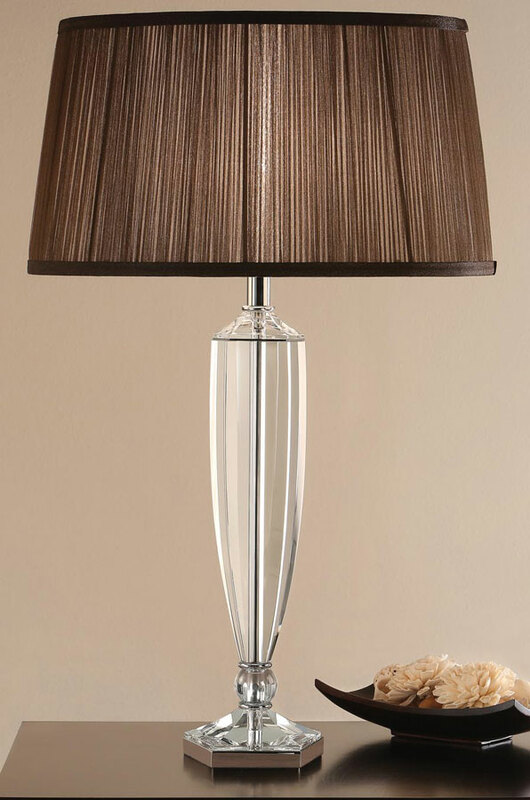 A high quality substantial table lamp base, with polished nickel hexagonal base and stem encased with a highest quality crystal plinth and urn body. The Hemmingway Art Deco style crystal urn table lamp base, part of the New Classics collection, designed and manufactured by Interiors 1900.